We are in Service and product business in operations vertical. We provide end to end service in consulting, training, sourcing and automation, counting upon deliverables. We help clients to identify and map the existing system and design customize the solution for each client. We also develop the product for identified automation at clients place. Moreover, we also analyze the market and customers pain point, resulting in ready to market product. We do work upon brownfield and Greenfield projects in India and overseas countries such as Thailand, USA, European Union, and Bangladesh. We transform the business through our insights and expertise. We create values through seamless experience, connectivity, and sustainability. We have expertise in 16 different industries to serve our clients. We believe in the best solution at the most competitive price. We are into continuous improvement and innovation to help clients experience the most effective solution. We practice inclusive growth of the entire value chain to make the solution sustainable. Our post delivery service is to empower customer and to be customers’ first choice. We promise 10 % improvement in quality, productivity and profit margin in 10-12 weeks. 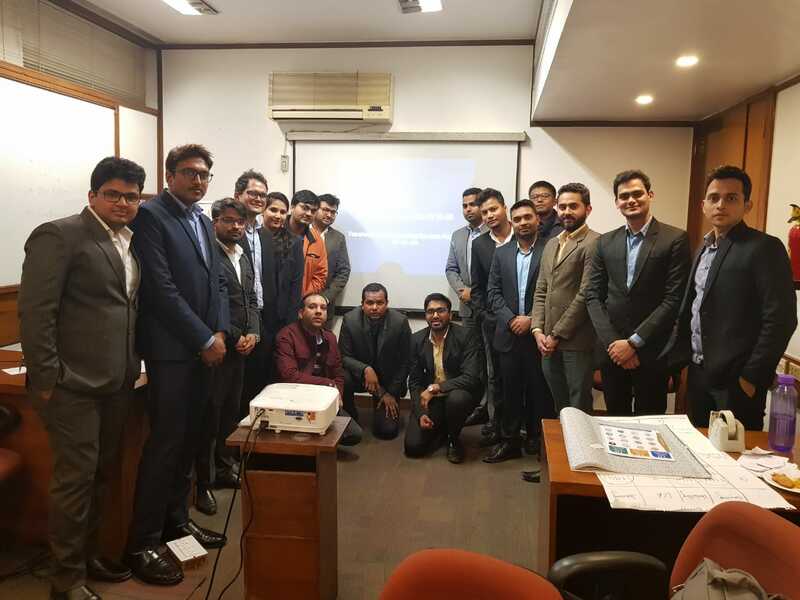 We have a working team from premier management schools such as IIM Calcutta and top technical institutes such as IIT Delhi and IIT Roorkee, enabling clients to become high-performance businesses and build a long-term relationship. We provide our client with best in class solution. We develop problem-solving capabilities in each individual of our team to help clients experience the change. Our service aims to build a long-term relationship with the client, providing in-time service, execution, post-delivery services, and identifying a new area of improvement. We work with the client to map the pain points to mitigate the real cause of the problem or the area of improvement to be a business leader. We balance between task and relationship attitude. We provide end to end solution to our clients – stalwarts working on the project, practicing their expertise. We are a result and future-oriented team, which enables us to deliver successful future-proofed services and support to our clients. We make the client understand and track the progress of the implementation by qualifying the solution into quantifiable parameters and we always deliver on those parameters in time. We have expertise in 16 different industries to serve our clients. Our team always endeavor to keep up with the changes in technology and happenings in the world to serve the client better. Speed, Responsiveness and being proactive are our mantras, which we practice through collaboration and empowering employees. We follow the thoroughness methodology to plan and execute our solution that delivers quality and excellence and growth. Enabling clients to be high performing businesses and creating long – term relationship by being responsive, caring and consistent delivery on deliverables. Being ethical and honest by saying what we mean, behaving to match the expectation and taking responsibility for our action. Developing insight on the future and present problems faced by various industries, We thrive to articulate new ways to provide focused and sustainable solutions and products.